A 25-year-old Indian taxi driver in Australia was assaulted and knocked unconscious by two passengers, including a woman, who yelled racial slurs at him, a media report said on Monday. 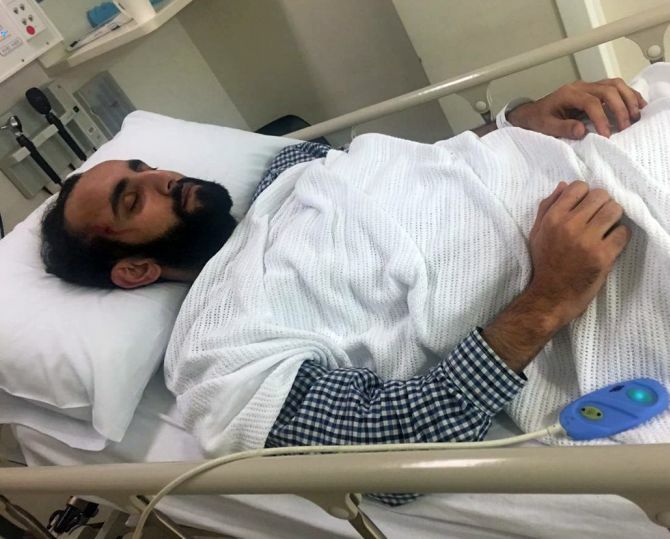 Pardeep Singh, who is studying hospitality in the country, was beaten at the Sandy Bay McDonald’s drive-through in Australia’s island state of Tasmania on Saturday night. Singh said he was attacked when he asked his passenger to step outside the cab because she was going to vomit, The Mercury reported. “If you mess up the car you have to pay a cleaning fee,” Singh told the passengers. Singh alleged the woman passenger told him in an expletive-filled rant that she wouldn’t pay the fare or cleaning fee. “They punched me too many times and kicked me,” Singh said. Singh was admitted to the Royal Hobart Hospital in Tasmania. They punched me too many times and kicked me. Inspector Ian Whish-Wilson said a man and a woman have been charged in relation to the assault on Singh. They will appear in the Hobart Magistrates Court on June 26. “It is alleged that the driver asked the passengers to leave his taxi after one of them was sick,” Wilson said. “There was a dispute over payment and it is alleged the passengers assaulted the driver and damaged the vehicle. “It was alleged a racial comment was made during the assault but it does not appear that the incident was racially-motivated,” Wilson said. It is the third attack on an Indian taxi driver in Australia in less than a year. Indian cabbie Li Max Joy was assaulted by four teenagers in the Argyle St McDonald’s in the early hours of March 25 and a third driver was assaulted by four men in June last year. Wilson said charges have also been laid in relation to the March assault on Joy but no “special investigative unit” has been established. Singh said he will not drive taxis again “because it’s so dangerous”.